Build upon your solid foundation-level skills by gaining advanced test design techniques. Develop your test analysis and design skills! Wanting to take your testing skills to the next level? Build upon your ISTQB Foundation studies and gain advanced testing techniques to add more value to your projects. This practical course will help you deliver better test analysis and design. You’ll learn how to apply test design techniques in real-world situations, gaining competency in the essential principles of test design specification and outcome-driven test activities. Experienced Test Analysts wanting to advance their hands-on testing skills. Test Managers needing a better understanding of advanced test design skills. Testers seeking advanced-level accreditation for recognition among employers, clients and peers. EXTRA COURSE INCLUSIONS: Our Pass Guarantee, Free Revision Sessions and Career Assistance Program (CAP) are just a few of the extra inclusions you receive when training with Planit – the leading ISTQB Accredited Training provider. View our full list of extra inclusions. "Great course and it also builds on top of the Foundation Certificate. I learnt some more test design techniques that I hope to apply in real life!" 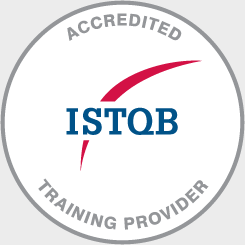 The ISTQB® Advanced Test Analyst examination is a 3 hour closed book, 60-question multiple choice exam. Candidates are required to achieve a minimum pass mark of 65%. The examination is sat separately from the course and is independently administered and assessed. 4 days of classroom training with a certified industry professional. Yes, I would like to receive information from Planit including training specials and our eNewsletter.